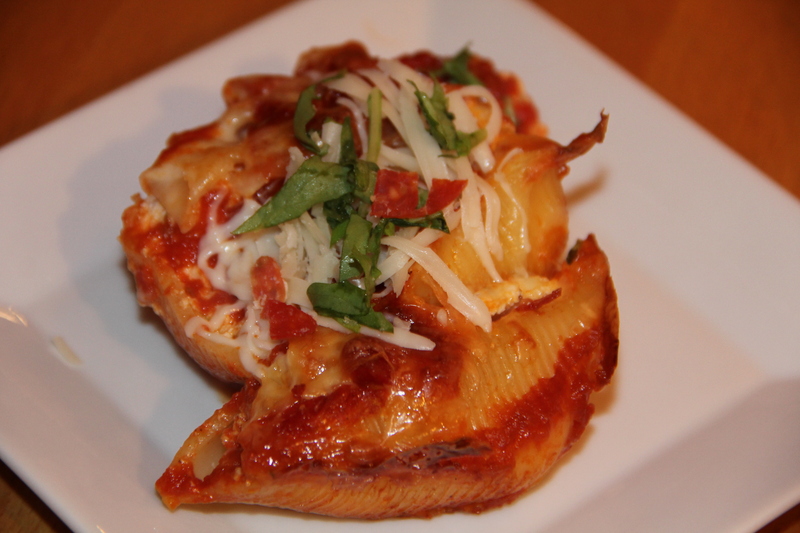 Add a little zip to your stuffed shells recipe with pepperoni and arugula. In a large pot boil shells until done, drain and rinse with cold water. Meanwhile prepare filling in a large mixing bowl. Add ricotta cheese, eggs, 1 cup pepperoni, arugula, lemon juice, lemon zest, salt, pepper, 1 cup parmesan cheese and 1 1/2 c mozzarella cheese, stir until combined. Pre heat oven to 350. 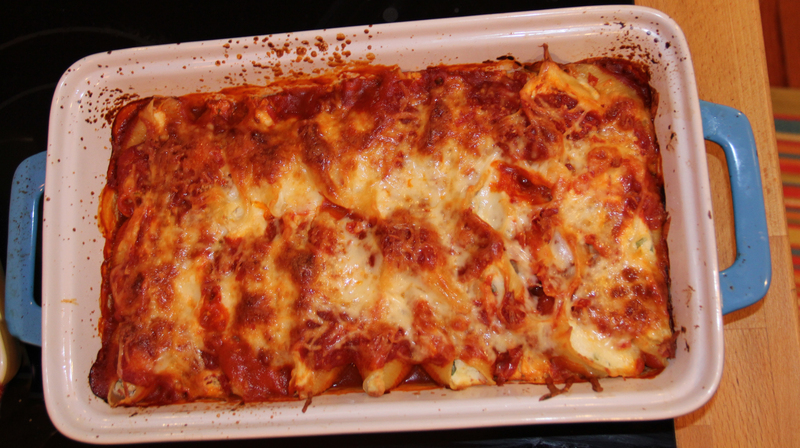 Pour about 1/2 c of tomato sauce onto the bottom of a large glass casserole pan to prevent shells from sticking. 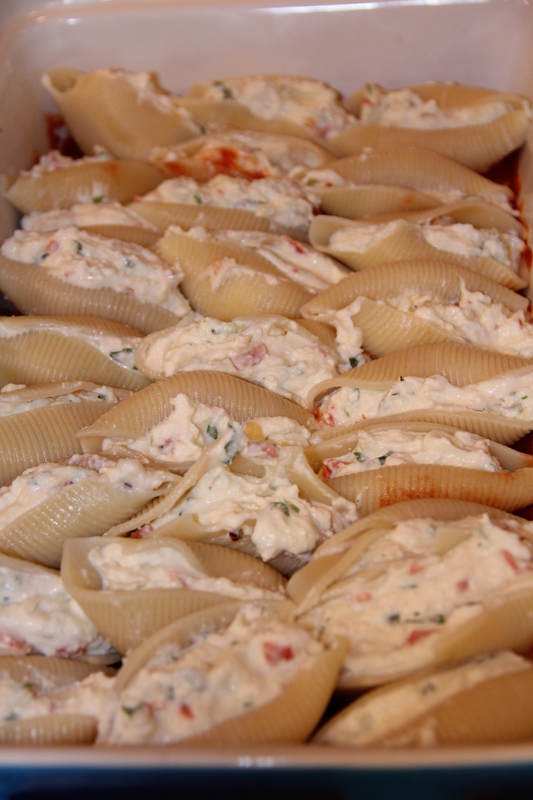 Use a heaping tablespoon to stuff each past shell with cheese mixture. Line them up in your casserole pan. Top with tomato sauce and remaining pepperoni, mozzarella and parmesan cheese. 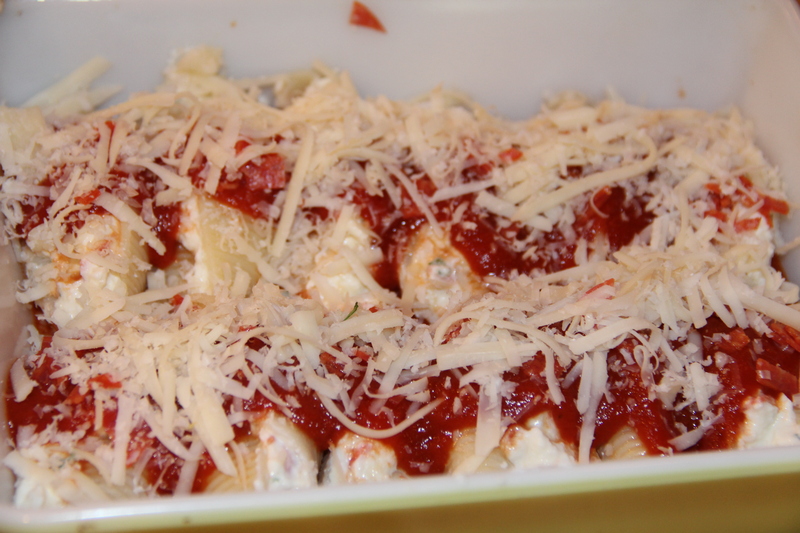 Bake for about 30 minutes or until sauce is bubbling and cheese is melted. Let cool in pan for 10 minutes and serve. Top with chopped basil and arugula if desired. I am not a baker, desserts and breads are hard for me. 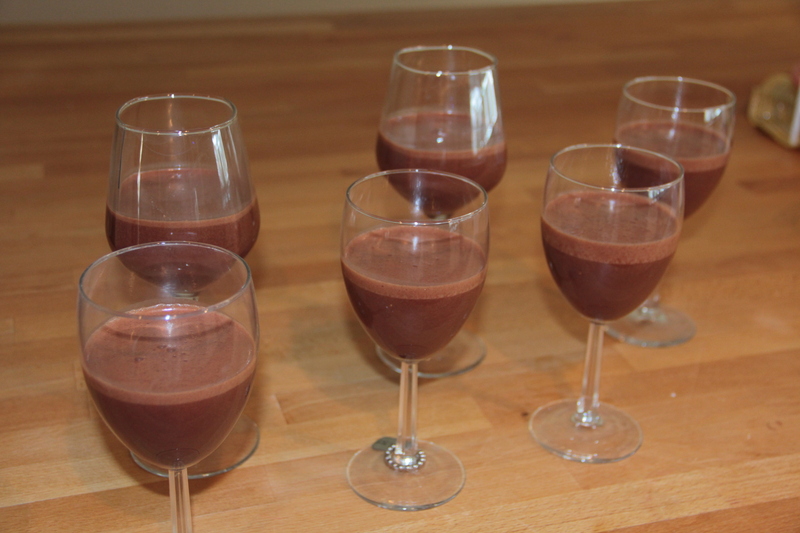 That’s why I love this easy dessert you make in a blender. This is a recipe favorite from Bon Appetit’s Fast Easy Fresh cookbook by Barbra Fairchild. 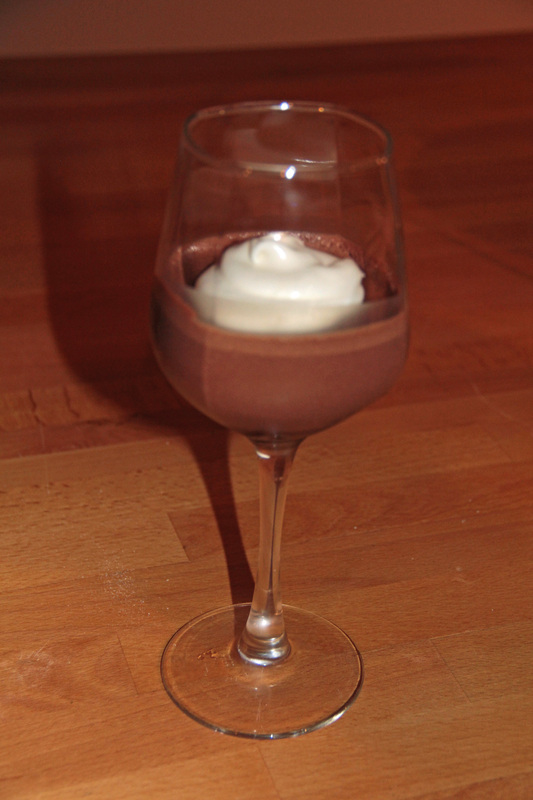 The lemon cream goes perfectly with the dark chocolate mousse but if you prefer use milk chocolate chips instead of dark and vanilla extract (1 t) instead of the lemon juice in the cream. This recipe is doubled from the original recipe in the cookbook and made 6 servings. Place chocolate chips into a blender. Bring water, 4 T sugar and espresso powder to a simmer in a sauce pan, stir to dissolve coffee and sugar. Pour over chocolate chips in blender. Cover tightly and blend for 5-10 seconds. Add egg whites and cover and blend on high for 1 minute. 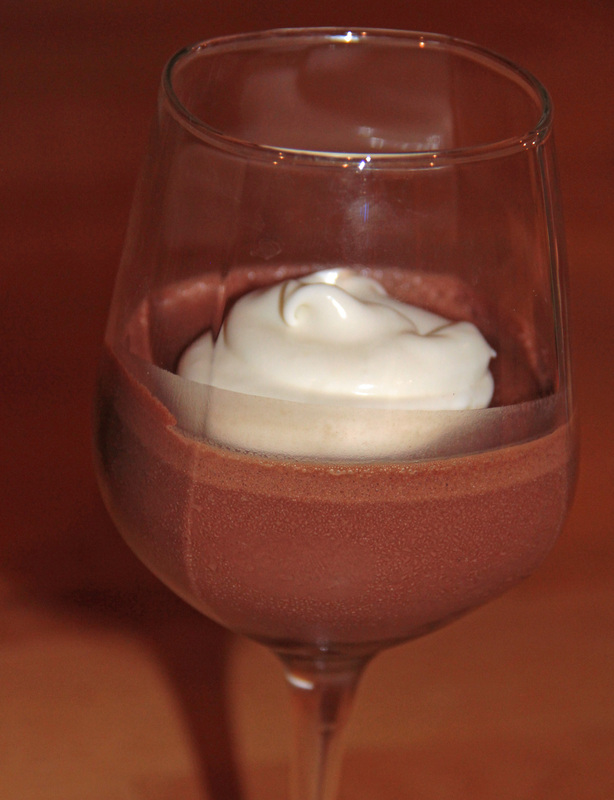 Pour into glasses or bowls and chill until mousse is set. Mine took about 2 hours. whisk cream, lemon juice, 2 Tablespoons of sugar and lemon zest in a small bowl until small peaks form, add dollop to top of the mousse. I am not a fan of breakfast, not because I don’t like to eat it, just because I am not a morning person. Also it can be hard to get everything ready on time to feed a whole family or god forbid guests. I feel like a harried short order cook with a huge mess in my kitchen. It can ruin my whole day. This is an easy way to serve a crowd or just make ahead for the week to save you time and stress. 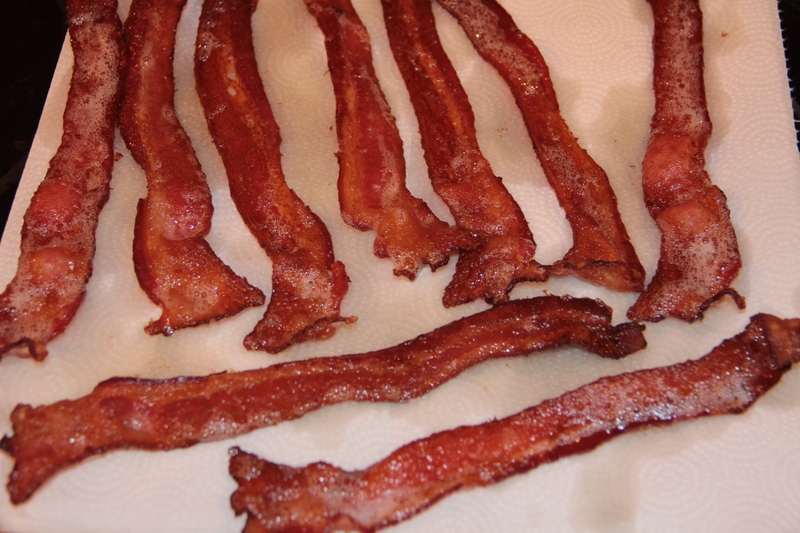 Bacon, love it probably more than any other food, but it can be messy. 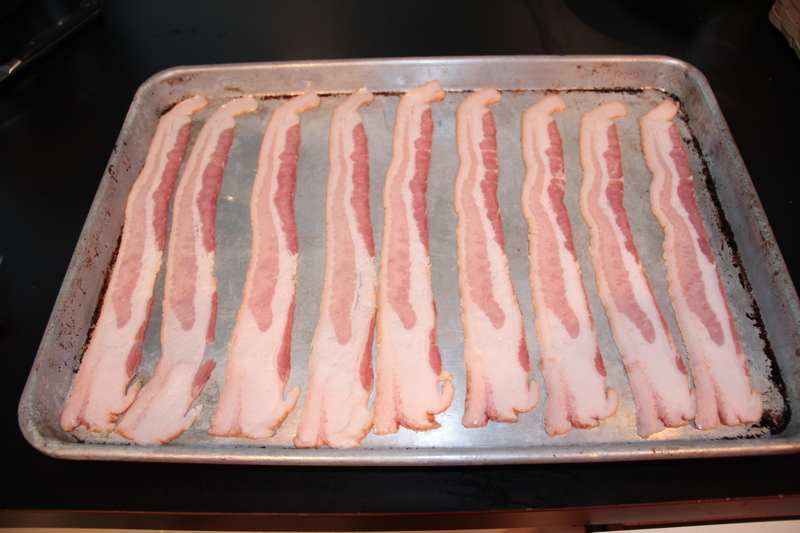 When I was a young bride I was not such a great cook and I tried making bacon in a fry pan on the stove, what a mess, it doesn’t really fit in the pan, and it never cooks evenly. Who wants to stand over the stove with grease flying at you? Then there is the microwave, sure it cooks but your oven is covered in a layer of grease that will take forever to clean, there goes the 5 minutes you saved choosing that method of cooking. For whatever reason one day I tried it in the oven, why had I not ever tried this before? There was no mess, no standing like a slave to the cook top and guess what it came out better and more evenly cooked. Not to mention you can make a whole pound at one time if you are feeding a crowd or in my case a family of 4, who loves bacon. Lay your slices on a heavy-duty sheet pan with sides. Bake in the oven at 400 degrees for 12-15 minutes. Take out and drain on paper towels. My family likes it “well done” this was cooked for about 17 minutes.Unused bacon can be stored in the refrigerator in a plastic bag and reheated in the microwave for 30 seconds or warmed in a skillet pan. 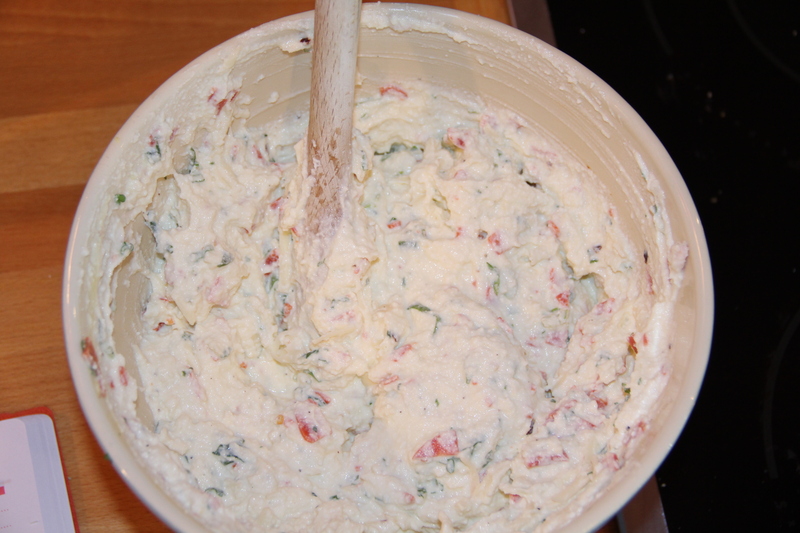 In a large bowl add eggs, spices, goat cheese and half and half, whisk until combined. Pour into muffin tins, I used a large ice cream scoop. Then add about a tablespoon of tomatoes and a tablespoon of arugula to each cup. and stir with a fork. 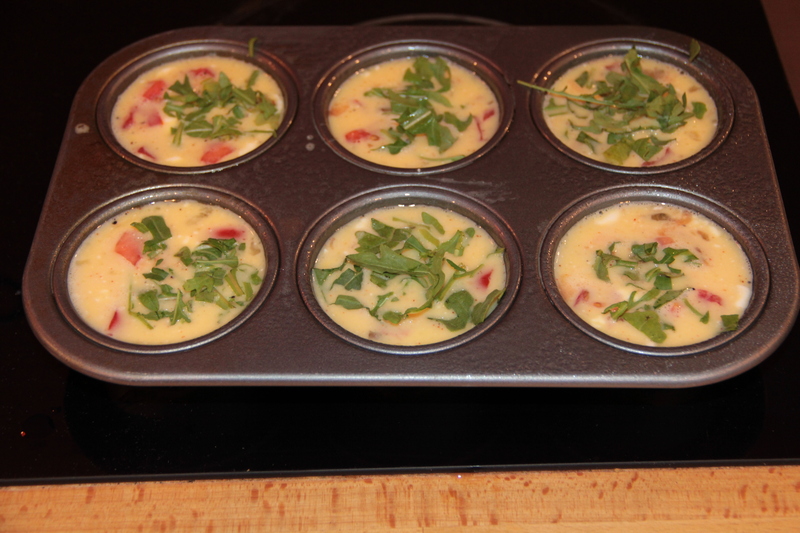 Bake in the oven for 15 to 20 minutes or until eggs are set. 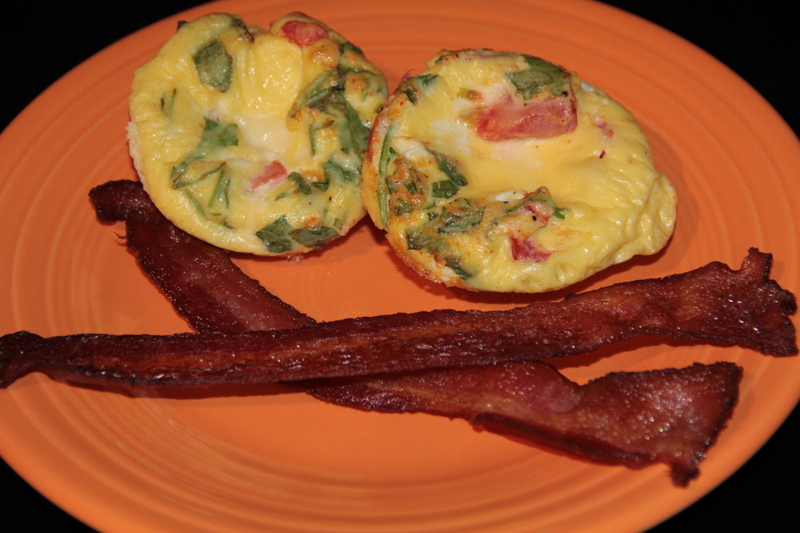 Eggs will rise but with deflate when removed from the oven. 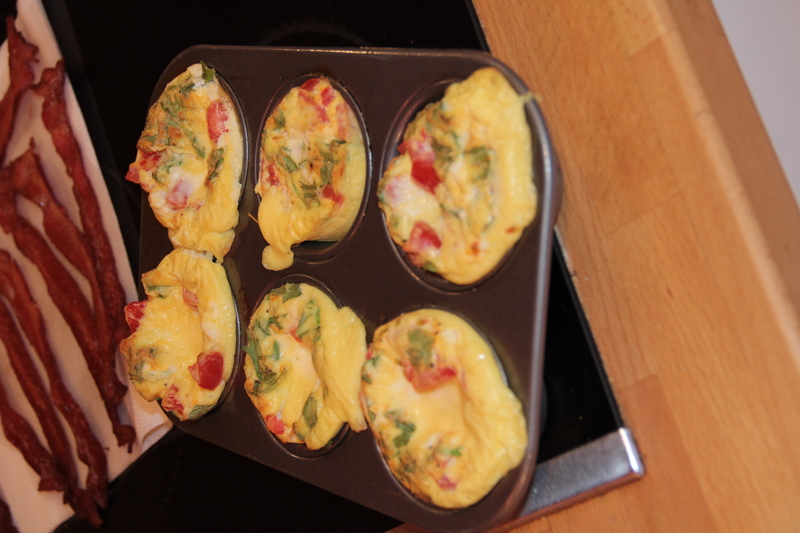 If you are worried about spillage in your oven, place muffin tin on a cookie sheet before baking. You can put any uneaten cups in a large freezer bag and place into the freezer for future use.